Joseph Marion "Lincoln" Hoffman was born on August 3, 1900 in Chicago, Illinois. His father, Sigmund Hoffman, was born in 1871 in Russia of Jewish ancestry and came to America in 1890. His mother, Rivka "Rebecca" Spivak, was born in Russia of Jewish ancestry in 1874 and came to America in 1894. His parents married in Chicago in 1899 and had only one child, Joseph Marion Hoffman (b.1900). The family lived at 321 South Main Street in Princeton, Illinois. The father was an optician. In 1910 the Hoffman family lived at 901 North Mason Street in Bloomington, Illinois. In 1914 Joseph Marion Hoffman began to attend Nicholas Senn High School in the Edgewater section of Chicago's North Side. He graduated from the school in June of 1918. He was an outstanding scholar and an accomplished pianist, so he was awarded scholarships to several colleges, as well as a music conservatory. On September 12, 1918, during the Great War, Joseph Marion Hoffman reported for draft registration. He was recorded at the time to be age eighteen, of medium height, medium build, with brown eyes and black hair. He was listed as a student living with his mother at 4538 Clifton Avenue in Chicago. He was not selected for military service. A few days after he registered with his draft board, he and his mother left Chicago and traveled to Los Angeles, where he began to attend the University of Southern California. 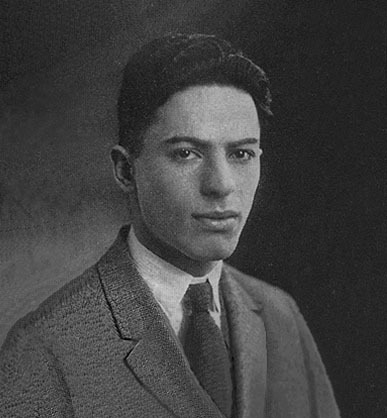 In June of 1919 he completed his freshman year, after which he left California and transferred to Harvard University in Cambridge, Massachusetts. While at Harvard he was most inspired by a psychology class on hypnotism. He also joined the track squad and was a member of Xeta Beta Tau. In June of 1922 Joseph Marion Hoffman graduated from Harvard University with a Bachelor of Science degree. That fall, in September of 1922, he entered Harvard Law School as a first year student. After completing one year at post-graduate school, he left Harvard in June of 1923 and transferred to Columbia University in New York City, where he sought a Masters degree in Psychology. In June of 1924 he completed his first year of post graduate studies at Columbia University, after which he left school and entered the work force to seek his fortune as a writer for the advertising industry. He worked under the pen name "Lincoln" Hoffman. After working a few years as a writer in NYC Joseph Marion Hoffman sent a report to the alumni association at Harvard University that described his professional career as "writing magazine fiction under an assortment of pen-names." 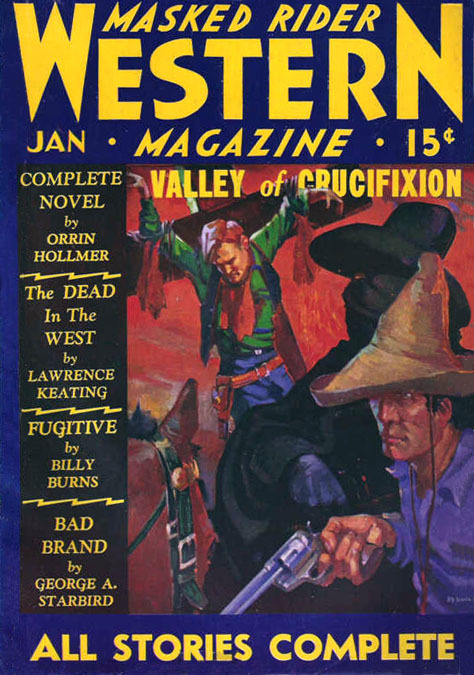 These were mystery detective and western stories published in pulp magazines that were produced by Dell Publications and Clayton Publications, both of which were handled by Eastern Distributing. 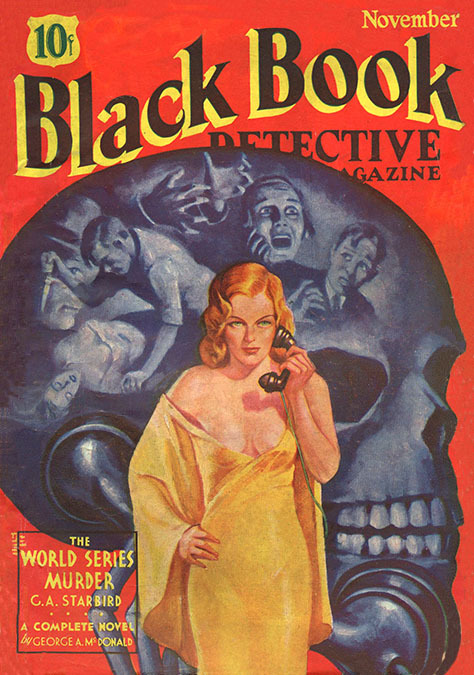 In June of 1933 Lincoln Hoffman was working under the pen name "Ward Marshall" as the editor of Black Book Detective Magazine from Newsstand Publications, located at 60 Murray Street. Black Book Detective was distributed by Mutual Magazines at 53 Park Place, which is the side entrance to 60 Murray Street. Both companies were formed in partnership by Louis Silberkleit and Martin Goodman, with financial backing from Paul Sampliner of Eastern Distributing. 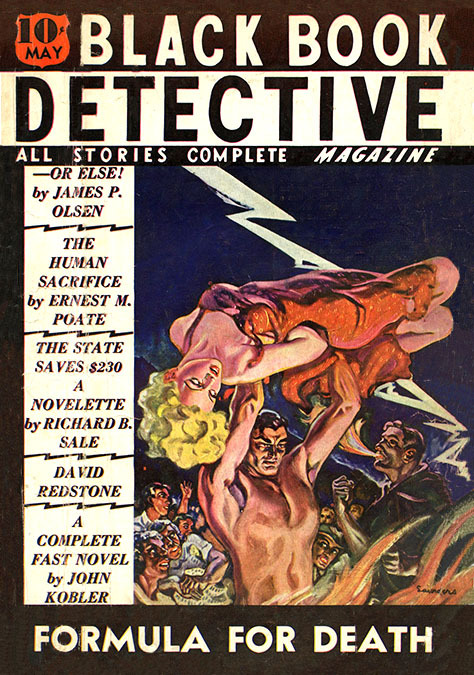 The covers were painted by Rafael DeSoto, R. A. Burley, A. Leslie Ross, and John Drew. The interior illustrations were drawn by Amos Sewell, Lorence Bjorklund, and Jon L. Blummer. In February of 1934 Lincoln Hoffman was listed as the editor at Ranger Publications, a new company located at 140 West 71st Street, which was nothing more than a one-room residential apartment that Lincoln Hoffman rented, where he could do his writing in privacy. 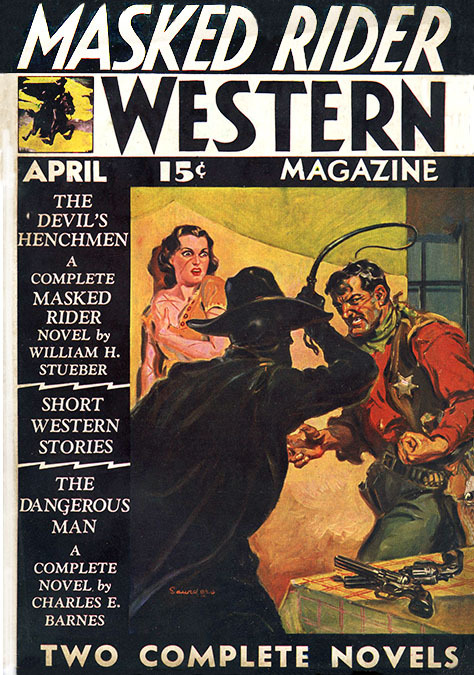 Ranger Publications produced Masked Rider Western, a pulp magazine that sought to exploit the popularity of The Lone Ranger radio show. The fact that they were infringing on a copyrighted property may explain why a "shell company" was set up in the editor's private apartment, and why his pen-name was listed as the "publisher" instead of Silberkleit and Martin. 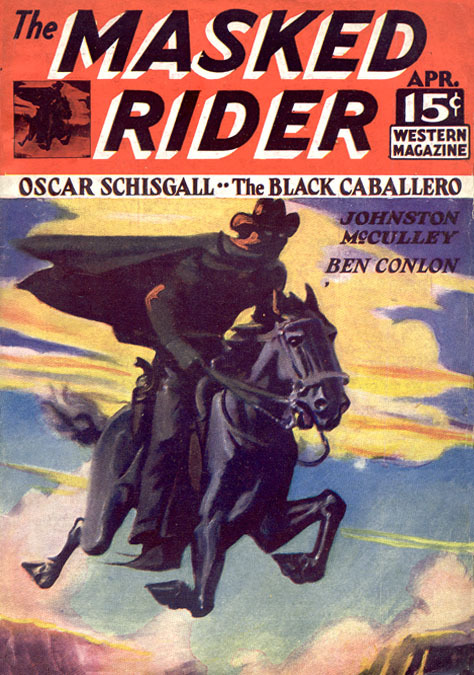 The first issue of The Masked Rider Magazine was dated April 1934. The cover artist was John Drew and all interior illustrations were drawn by W. C. Brigham, Jr. 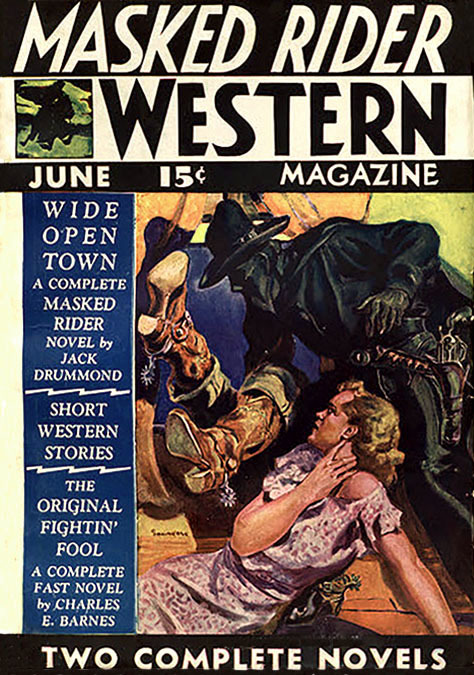 The magazine featured advertisements for Western Novel & Short Stories Magazine and Complete Western Book, both of which were produced by Silberkleit and Goodman. There was also an ad for Gang World Magazine, which was produced by Spencer Publications, yet another company owned by Silberkleit and Goodman, at 60 Murray Street. 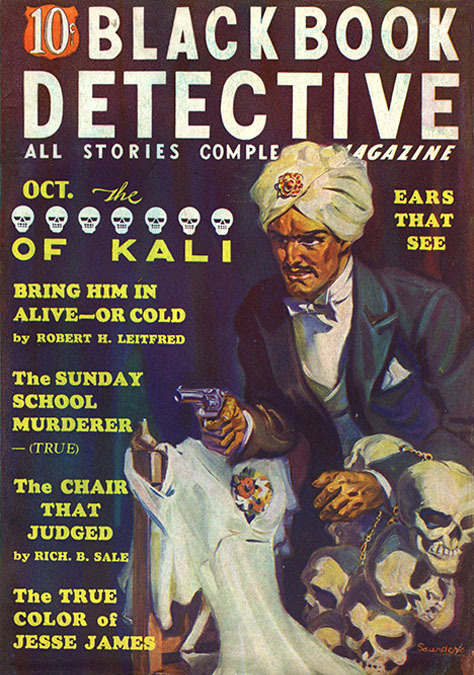 When The Masked Rider Magazine was not sued by the owner of The Lone Ranger Radio Show, George Washington Trendle (1884-1972), the magazine was at liberty to enjoy healthy sales, and Lincoln Hoffman continued to act as a pulp magazine publisher. The editor listed on the contents page was Maurice Jacob Phillips (1910-1976). He was born on September 8, 1910 in Massachusetts, and graduated from college in 1932, after which he moved to New York City to pursue a career as a mystery writer. On May 22, 1934 Variety Magazine reported in the Literati section, "Jobbing Mags For Economy - Newest thing in magazine publishing business is, for want of a better term, a mag-publishing jobber. It's the development of Lincoln Hoffman, pulp publisher, who gets out the Ranger Publications. Hoffman, who calls his new project the Publishers and Producers Exchange, will job magazines complete. That is, he will turn out, on order, a magazine complete as to printing and editorial matter for other publishers. Claimed by Hoffman that he can greatly reduce publication costs by serving a group of independent publishers in this manner. Purchase of quantity paper and quantity printing does the trick." The final issue of Black Book Detective Magazine produced by Newsstand Publications was dated June 1934, after that date the magazine continued as a "Lincoln Hoffman Publication." 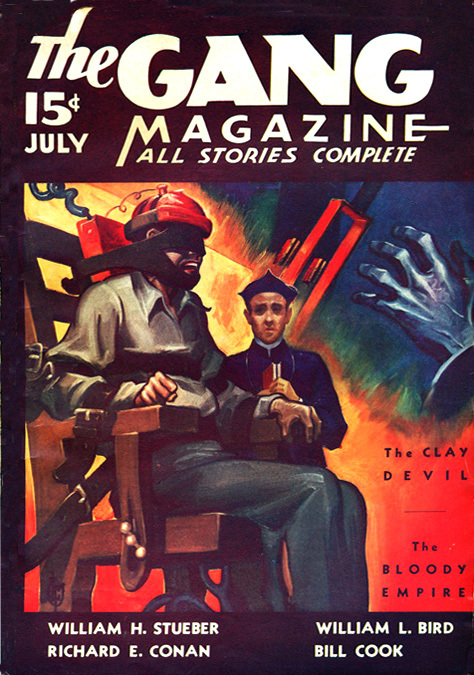 The final issue of The Gang Magazine from Spencer Publications was dated July 1934, after which it became The Gang Magazine from Lincoln Hoffman Publications. The editor was Maurice Jacob Phillips. In August of 1934 Silberkleit and Goodman's distribution company, Mutual Magazines, declared bankruptcy and left all creditors empty handed, which forced Silberkleit and Goodman to re-organize their many interlocking business concerns. In September of 1934 Lincoln Hoffman formed a writing agency, Publishers and Producers Exchange, in a rented office space at 35 East 27th Street. The September 1934 issue of Writer's Digest reported "Newsstand Publications, Ranger Publications, and Lincoln Hoffman Publications have finally concentrated their forces at 220 West 42nd Street." On November 23, 1934 Lincoln Hoffman married his editor's older sister, Evelyn Phillips. She was born on February 2, 1902 in Lithuania and came to America in 1907 with her family. Her father, Philip Phillips, and her mother, Alice Phillips, were both born in Lithuania, where they married in 1899 and had two children, Evelyn (b.1902) and Miriam (b.1904). In 1907 the family moved to America, where they lived at 176 Chestnut Street in Chelsea, Massachusetts. The father owned and operated a grocery store at 54 Walnut Street. The parents then had two more children, Alice (b.1908), and Maurice (b.1910). The November 1934 issue of Black Book Detective Magazine was published by Lincoln Hoffman Publications at 220 West 42nd Street. The Managing Editor was listed as Alice Phillips. She was the publisher's sister-in-law. Martin Goodman shared the same office space, where he was listed as the publisher of Complete Western Book and Western Novel & Short Stories, but according to Writer's Digest, "Lincoln Hoffman buys stories for all four pulps through his company, Publishers and Producers Exchange. This group has also gone through distribution difficulties lately, and though its magazines have appeared regularly, I am told that payments, apparently averaging somewhat less than one cent a word, have been rather irregular. Probably things will improve with the new arrangements." Three months later, in February of 1935, Martin Goodman left the shared space and moved to 11 West 42nd Street, a skyscraper office building on Fifth Avenue next to the landmark 42nd Street Public Library. The March 1935 issue of Variety Magazine reported in the Literati section that Lincoln Hoffman had taken over production of The Masked Rider and The Gang Magazine and added two new titles to his line, Greater Western Magazine and Black Book Detective Magazine. His new company was called Lincoln Hoffman Publications at 220 West 42nd Street. In May of 1935 Writer's Digest reported, "I wonder where all the wild rumors about magazines start? One that dogged my footsteps this past month was that Lincoln Hoffman had killed off his four pulps. Not at all, writers, not at all! Things look better than ever over at 220 West 42nd Street, and the magazines are buying steadily and paying with a fair degree of promptness. Needs and lengths continue about the same as usual on Black Book, The Masked Rider, Greater Western and Gang Magazine." On August 7, 1935 Variety Magazine reported "Doubleday Doran Sells West Magazine - The Doubleday Doran Publishing Company is continuing to unload its magazines. 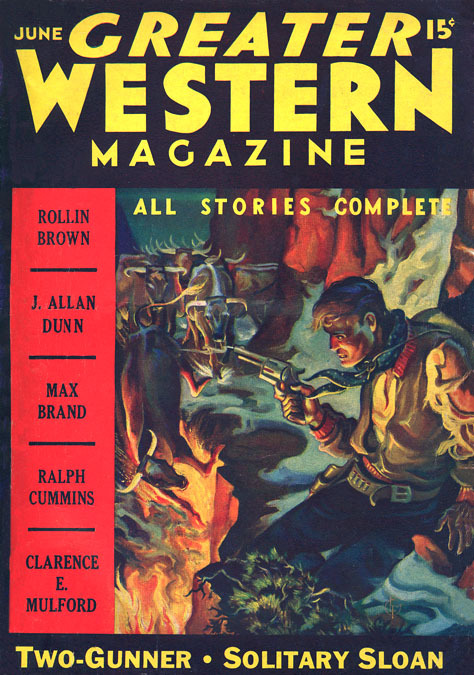 Latest is West Magazine, last of the firm's pulps, which has been sold to Ned Collier and Lincoln Hoffman. 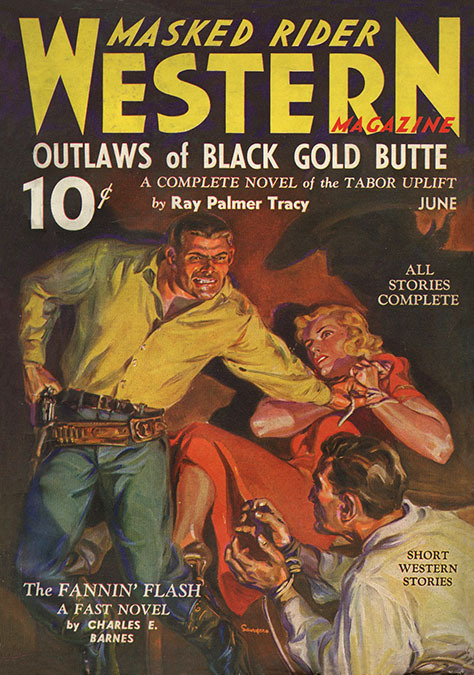 Hoffman has a string of pulps called the Ranger Publications, and it is probable that West Magazine will be added to the chain. Editor of West Magazine when it was under the Doubleday Doran banner was Harry E. Maule, who also picked the books for the organization." On August 22, 1935 Lincoln Hoffman's son, Thomas Hardy Hoffman, was born in NYC. 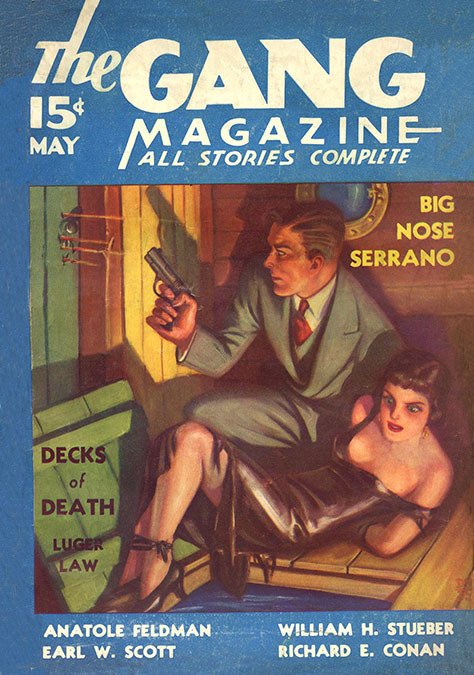 The last issue of The Gang Magazine was dated September 1935, after which date the pulp ceased to be published. The January 1936 issue of Black Book Detective Magazine listed the publisher as Ranger Publications instead of Lincoln Hoffman Publications, but the offices were still at 220 West 42nd Street. The May 1937 issue of The Author & Journalist reported, "Greater Western Magazine, at 220 West 42nd Street, has been discontinued by Hoffman Publications." Despite this formal announcement, the last issue of Greater Western Magazine was dated October 1935. The final issue of Black Book Detective Magazine produced by Ranger Publications was dated June 1937. June of 1937 was also the final issue of The Masked Rider produced by Ranger Publications. The November 1937 Writer's Digest reported, "Publication has been suspended and Lincoln Hoffman is planning on a long trip." His publishing career was over. He declared bankruptcy and sold his last three titles, West Magazine, Black Book Detective, and The Masked Rider, to Thrilling Publications, which was owned by Ned Pines, who was also affiliated with Paul Sampliner. In many ways, Lincoln Hoffman was more of a writer and editor than a publisher. His three-year career as a pulp publisher was largely a convenient business arrangement of Silberkleit and Goodman. Even when listed as the publisher, Hoffman continued to write many of the stories that were published in his magazines. He wrote under various pen-names, such as "Ward Marshall," "Orrin Hollmer," and "Tex Holt." After his pulps were sold to Ned Pines the new editor was Leo Margulies (1900-1975). Rather than retire from publishing, Lincoln Hoffman continued to write stories, which he submitted to Leo Margulies for publication in his own former pulp magazines. The two writers developed a close friendship. The 1937 edition of the Harvard University Alumni Class Records listed the mailing address of Joseph Marion Hoffman as "care of Ben Conlon at 191 Park Place in Brooklyn, New York." Bernard "Ben" Matthew Conlon (1889-1964) was born in Utica, NY, on January 3, 1889, and raised in Brooklyn. He was a prolific writer for pulps and newspapers, as well as writing publicity for motion picture companies. He lived with his widowed elderly mother and two siblings in a private brownstone townhouse. 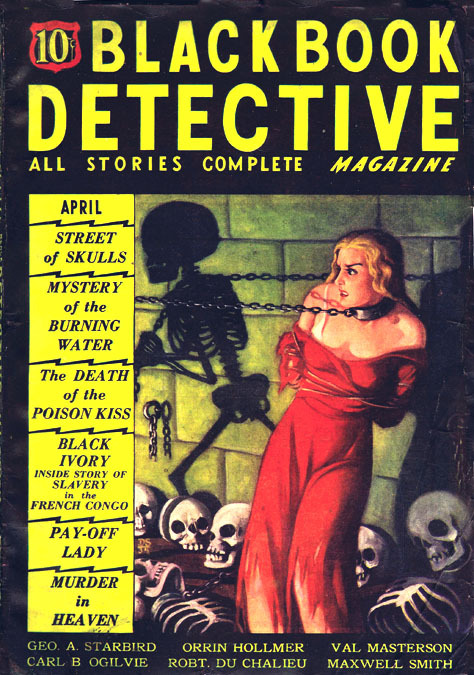 By 1938 Maurice Jacob Phillips began to have his stories regularly published in pulp magazines, such as as Ten Detective Aces, 10-Story Detective and Sports Aces. These were produced by Ace Publications, which was founded in 1930 by Warren Angel, who was joined in partnership three years later by Aaron Wyn. The 1940 U.S. Census listed Lincoln Hoffman's occupation as a private secretary in the music industry. He lived in an apartment building, 20 West 72nd Street, which is across the street from the landmark Dakota Apartments Building. The apartment was rented to his brother-in-law, Maurice Jacob Phillips, who lived there along with his two older sisters, Alice Phillips (b.1908) and Miriam Phillips (b.1904), both of whom worked as salesladies at a clothing store. On August 10, 1941 the father of Lincoln Hoffman, Sigmund Hoffman, died at the age of seventy in Illinois. In September of 1941 Maurice Jacob Phillips was hired as the editor of Ten Detective Aces, 10-Story Detective, Ace Sports, and 12-Sport Aces at Ace Publications. On December 13, 1941 The New York Times reported "Lincoln Hoffman, writer, has rented an apartment at 120 West 70th Street." On July 3, 1945 the mother of Lincoln Hoffman, Rebecca (Spivak) Hoffman, died at the age of sixty-nine in Illinois. On December 28, 1946 Collier's Magazine published "Cocktails For One," by Maurice Jacob Phillips. After the war Lincoln Hoffman left NYC with his wife and son and moved to Los Angeles, California, where he worked as a proof reader at The Los Angeles Times. Along with his writing career, he was also a championship player of bridge. In 1955 his marriage ended in divorce. At that time his son, Thomas Hardy Hoffman, was a twenty-year-old college student. 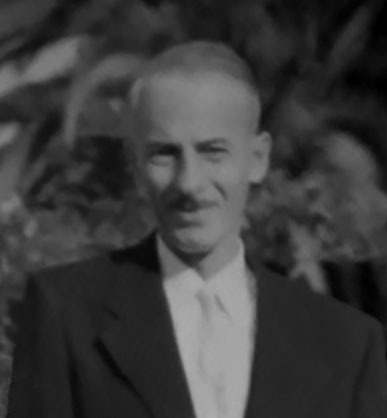 Here is a photograph from 1956 of Lincoln Hoffman in California. On April 12, 1958 Lincoln Hoffman married Helene Frances Rumizen (1917-2004). At the time of their marriage the groom was fifty-seven and the bride was forty. His second wife was an artist. She painted impressionist nudes, which were exhibited in Los Angeles art galleries, under the name Laurie Hoffman. On February 1, 1962 Lincoln Hoffman's marriage to Laurie Hoffman ended in divorce. On July 1, 1976 his ex-brother-in-law, Maurice Jacob Phillips, died at the age of sixty-five in NYC. Joseph Marion "Lincoln" Hoffman died in Palm Springs, CA, at the age of eighty-six on April 14, 1987.